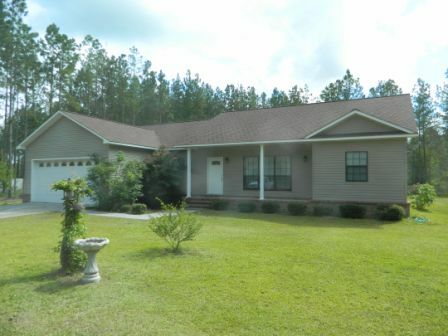 Newer 3 bedroom/2 bath home located on 2.11 acres of land with open floor plan. Home features tray ceilings, whirlpool tub, walk in closets, stainless steel appliances, gas log fire place, 2 car garage, split floor plan, fenced in backyard all in a country setting. Laminate flooring in living room and dining area, carpet in hall and bedrooms, and tile in the kitchen and bath. Master bathroom has separate shower and whirlpool tub. Call today to see this beautiful home to appreciate all it has to offer. Directions: Leaving Waycross on Hwy 82, turn left onto Carswell Ave Ext. Drive approx 1.5 miles and turn right onto N. Clough Bay Road. Home is about 1 mile down the road on the right, look for sign.